Log in the 17TRACK Seller Center. Click Shop Management > Add a shop > Amazon. 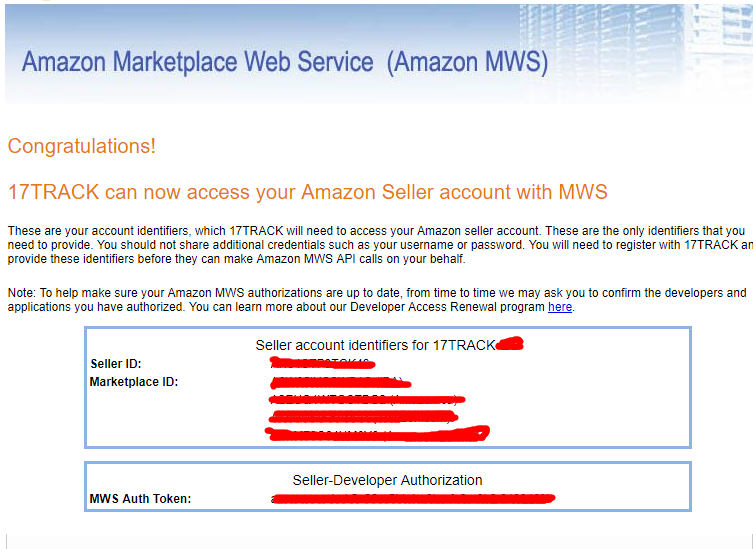 Log in the backstage of your Amazon shop to get the following information: Merchant ID, MWSAuthToken. Click Sign up for MWS, and log into your MWS account. If you do not have an MWS account, register an account first as instructed above. Please note that if it is your first registration, you have to click the above link to return to the Sign up for MWS After registration, log into your MWS account. Click Next and agree the terms on the next page to continue. 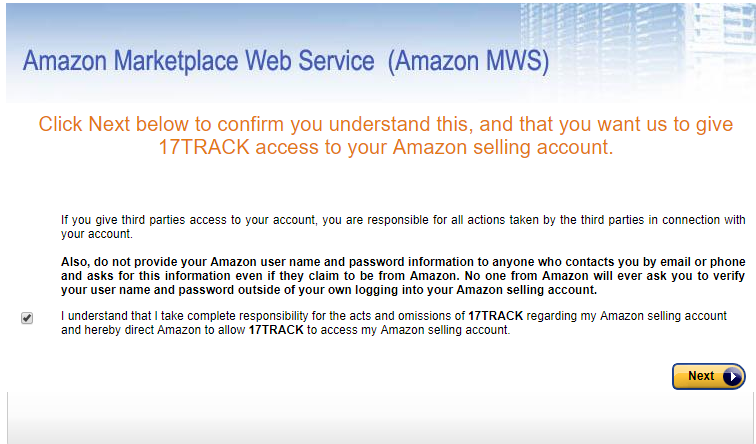 Paste the Merchant IDand MWSAuthToken to the 17TRACK authorization page. If you have any questions, please contact us at serv@17track.net. We will get back to you within one working day. Quem são os usuários da 17TRACK?